First noticed by Matt Gibstein and posted on Twitter last night was a "chat" button available for searchers to click on to initiate a Google Chat or Google Hangout chat session with the business. 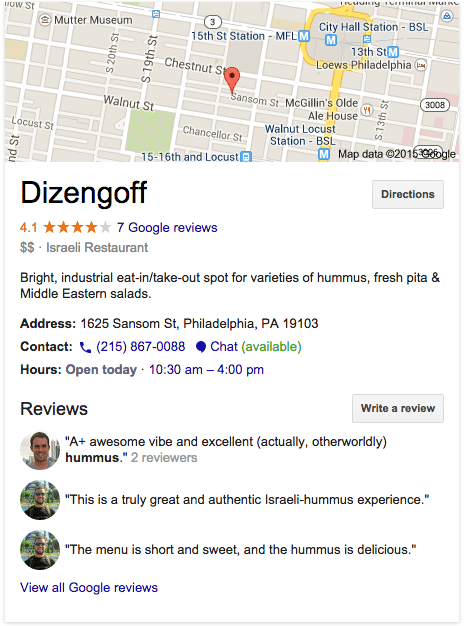 I personally see it live for a search on [dizengoff] but when I click on the "chat" button, it goes to a 403 error page. Google Hangouts can make it easier for your customers to reach out to your business with a Hangouts chat message. When customers are looking for you on Google Maps or Search, they’ll find a button to chat with you. 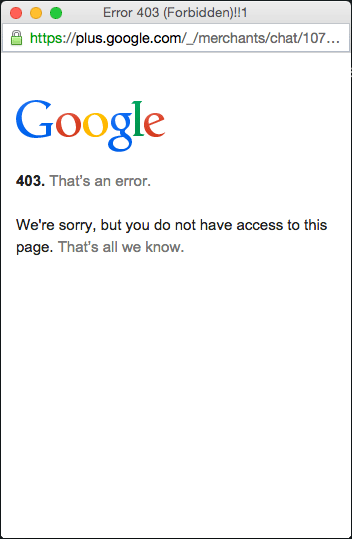 This feature is currently limited to a small number of business that have been invited to test it. Opting-in to this feature will allow customers to chat with you by changing the “customize invites” setting for your business. 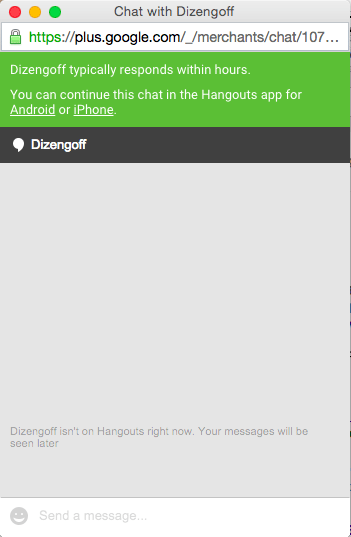 If you don’t want to participate in the trial anymore, you can opt out in settings for your business in Hangouts.